If you're headed out shopping this weekend, don't forget to pick up your FREE razors. As we've talked about, you can pick up a FREE Pack of Bic Silky Touch Razors at Walmart or Target. You'll need to use the $3 off Bic Razor coupon that can be found in the August 11th Smart Source Coupon Insert. 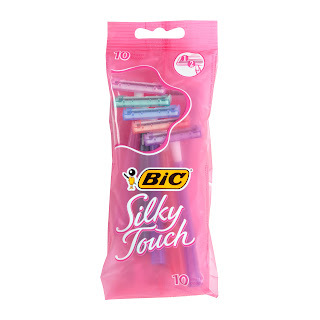 Details: Walmart and Target have the Bic Silky Touch Razor packs for ONLY $2.99, making them FREE after coupon.